A fire-ravaged home in San Jose is selling for a staggering $800,000, local Fox affiliate KTVU reports. The high asking price is for both the abandoned home and the 5,800 square foot lot surrounding it. The ruined building is close to the proposed Google Village in San Jose. Still in development, Google plans to build new offices, research sites and retail stores in the area. Barr said she received inquiries from potential buyers within hours of posting the ad and expects the home to sell within days. In Santa Clara County, the median price for a single family home is reportedly $1.4 million. 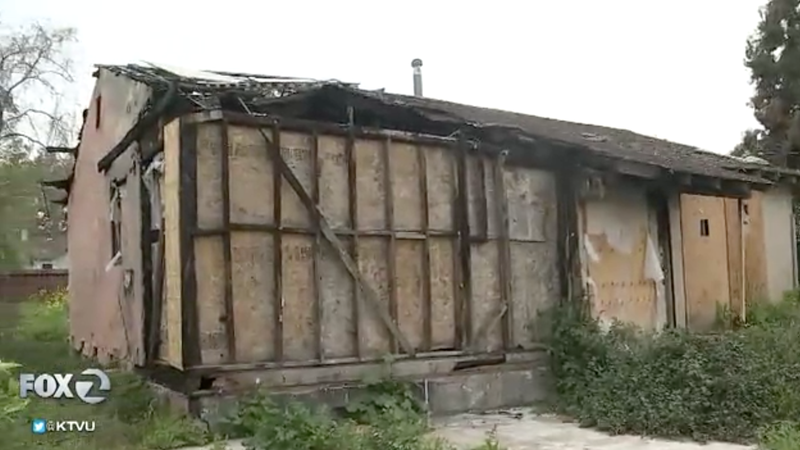 Given the notoriously high housing costs in the area, realtors speaking to KTVU argued that renovating the shack would be cheaper than tearing it down to rebuild or buying a home in the area outright. Homes in the same neighborhood have recently sold for well over a million dollars, one said.